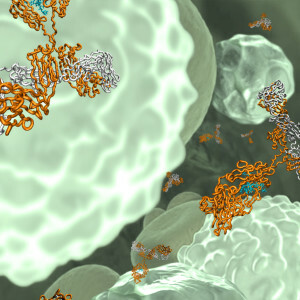 A biologics license application (BLA) for romosozumab, an IgG2 monoclonal antibody targeting sclerostin, was recently submitted to the US Food and Drug Administration (FDA). The application includes data from the randomized, double-blind, placebo-controlled Phase 3 FRAME study (NCT01575834) of ~7,200 postmenopausal women with osteoporosis, defined as low bone mineral density at the total hip or femoral neck. The study met the primary endpoint of reduction of the incidence of new vertebral fracture through 12 months in postmenopausal women with osteoporosis treated with romosozumab. The study also evaluated whether romosozumab treatment for 12 months followed by denosumab (Prolia®) treatment for 12 months, compared with placebo followed by denosumab treatment, reduced the risk of new vertebral fractures through 24 months; this endpoint was also met. The effects of romosozumab were compared to teriparatide (FORTEO®), a recombinant form of parathyroid hormone, in the randomized, open-label Phase 3 STRUCTURE study (NCT01796301). In this study, postmenopausal women with osteoporosis transitioning from bisphosphonate treatment who were administered romosozumab demonstrated a statistically significant increase in hip bone mineral density and strength compared with those who received teriparatide. In other news, the FDA requested the submission of new data and analyses from the MODIFY I (NCT01241552) and MODIFY II (NCT01513239) clinical trials of bezlotoxumab, which has extended the review time on bezlotoxumab by three months, to October 23, 2016. Bezlotoxumab, a human IgG1 mAb that targets Clostridium difficile (C. difficile) toxin B, was evaluated for prevention of C. difficile infection recurrence. MODIFY I was a Phase 3, randomized, double-blind, placebo-controlled, adaptive design study of a single infusion of bezlotoxumab, an anti-C. difficile toxin A human monoclonal antibody (MK-3415, and the combination of bezlotoxumab + MK-3415 in patients receiving antibiotic therapy for C. difficile infection. The Phase 3 MODIFY II study compared only bezlotoxumab and the combination of bezlotoxumab + MK-3415 to placebo in patients receiving antibiotic therapy for C. difficile infection. The primary endpoint, the rate of C. difficile infection recurrence through week 12 compared to placebo, was met in both studies. 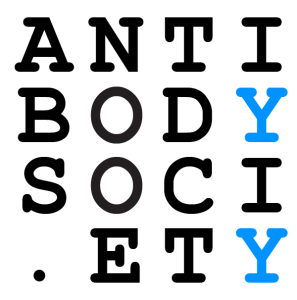 The Antibody Society maintains a comprehensive table of approved antibody therapeutics and those in regulatory review in the European Union and United States. Of the 8 mAbs currently in regulatory review in these regions, 4 have FDA action dates known to occur in late October-December 2016. One additional mAb is likely to have an FDA action date by the end of 2016, based on the date of BLA submission and review status. 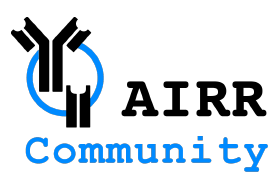 Please log in to access the table, located in the Members Only section.